This article appeared in the The Wood County Amateur Radio Club newsletter CQ Chatter February 2018 edition. Hurricane season wasn’t particularly fun in 2017. We had both extremes. Houston got hit with Hurricane Harvey which required little response from the ham community. Infrastructure stayed online. Disruption to communication systems and Internet was minimal. This left many hams wondering, ‘are we at the point where our infrastructure is stable enough to survive a category 4 hurricane?’ ‘Are hams still relevant since we were not needed for this type of event?’ We got the answer to those questions over the next month with two category 5 hurricanes. Irma impacted the state of Florida and Maria devastated the relatively poor U.S. possession of Puerto Rico. 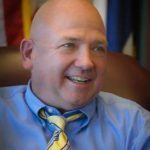 We went from wondering if ham radio was still relevant in emergency situations to rethinking training for extended deployment scenarios, all within a matter of weeks. Ham radio news sources pointed out many communication techniques were utilized getting traffic in and out of affected areas. An ARRL press release indicated “Maxim Memorial Station W1AW at ARRL Headquarters is monitoring the HWN, 60-meter interoperability channel 2, and Winlink for any traffic.” Winlink gained prevalence in ham news media due to these disasters, gained popularity in emergency communications circles, and became an operating requirement for hams that assisted in Puerto Rico. 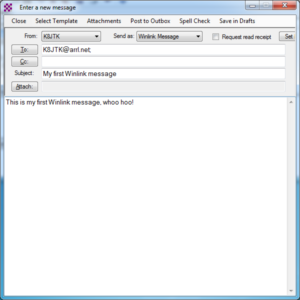 Winlink is a very powerful and flexible system for exchanging all types of messages. “Winlink (also known as Winlink 2000) is a worldwide radio messaging system that uses amateur-band radio frequencies to provide radio interconnection services that include email with attachments, position reporting, weather bulletins, emergency relief communications, and message relay” (Wikipedia). In other words, Winlink is a global email system via radio. The backbone uses the Internet for communication but users do not need an Internet connection. This makes the system popular in Emcomm when the Internet is not available. Winlink was first used recreationally by mariners, RV campers, and missionaries. 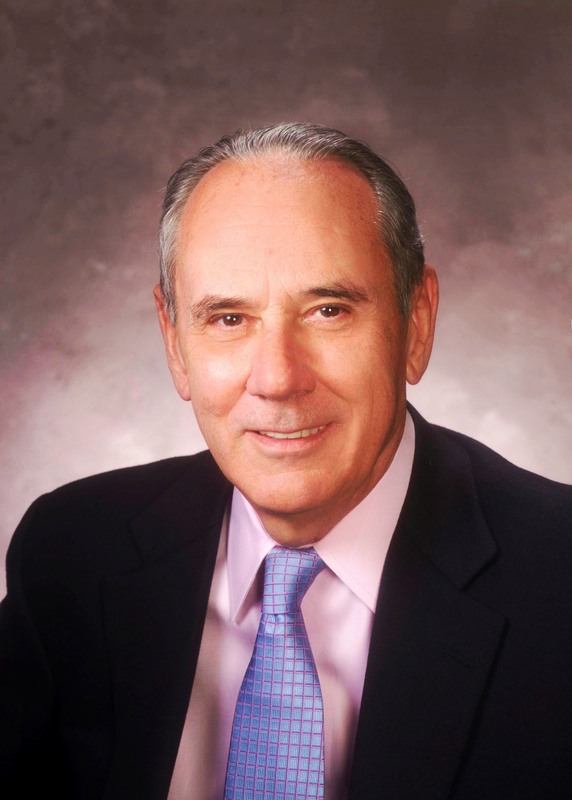 The entire system is run by volunteers and a 501(c)(3) not-for-profit organization. 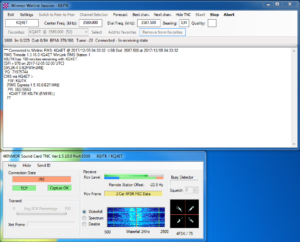 Though similar in name, the “WIN System” is a popular IRLP repeater system based in California and entirely different. The Winlink system consists of multiple Common Message Servers (CMS) on multiple continents thought the world. The CMS servers form a “star” network configuration to coordinate traffic and provide services like email, webmail, telnet, bulletins, and reporting. Each CMS is a mirror image of the others for redundancy, failover, and outage situations. The Internet, by design, can work around outages. To date, there has been no global outage of the Internet – only regional. Having multiple servers, with redundant copies of the same data, means one or more could be affected by an outage and the system still functions. As of November 1, 2017, the CMS servers have been moved into the Amazon Web Services (AWS) cloud for greater redundancy. 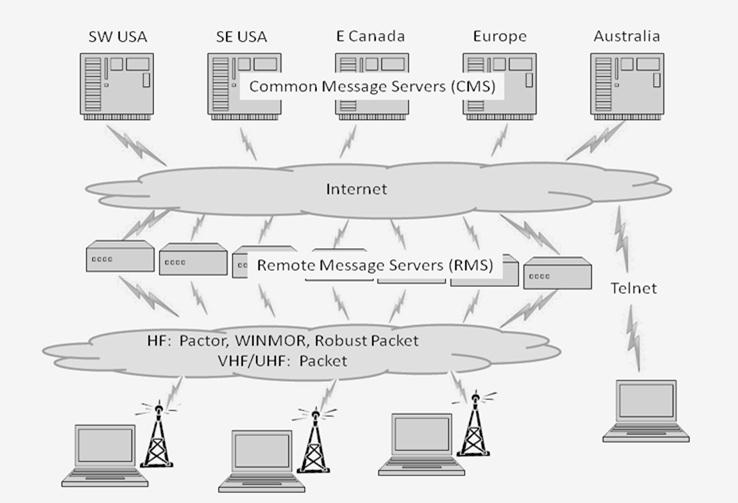 Remote Message Servers (RMS) are scattered throughout the world and are the RF connection into the Winlink system. RMS gateways access the resources of the CMS servers via the Internet. These nodes are provided by hams familiar with the system and are setup on many ham bands (HF, VHF, UHF). On VHF/UHF, connectivity is limited to local clients. HF gateways serve a wider area but depend heavily on band conditions. Finally, your computer runs the client software which interacts with services provided by the CMS, most often through an RMS gateway. The client software sends and receives messages. Size is limited to 120KB maximum, including attachments. Winlink uses a “store and forward” approach to messaging meaning clients are not constantly connected to an RMS or CMS gateway. There are currently 6 client software applications available for Winlink. A feature comparison is available at: https://www.winlink.org/ClientSoftware. Winlink Express (formally RMS Express) is the preferred client because it’s developed by the system administrators and supports all features of the system. The software is well supported and frequently updated. The application looks and operates much like a stripped-down email client. Using a familiar email interface makes the application easy-to-use. Though free to download and use, Winlink Express is nagware. It will frequently prompt to purchase a key supporting development of the system. Registration of $24 is encouraged but not a requirement to use Winlink. 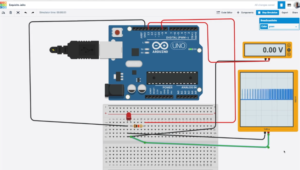 Winlink: access messages on the CMS via an RF connection to an RMS gateway using the Internet. Peer-to-Peer (P2P): messages exchanged directly with other users over RF, Internet, or mesh without the use of a RMS or CMS. 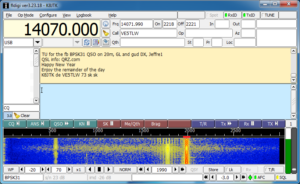 Radio-only: messages transferred between HF RMS gateways – without use of the Internet. Telnet Post Office: connects to the CMS directly over the Internet. A “Query Catalog” accesses services provided by the CMS such as weather and marine forecasts, news, and propagation reports. Location coordinates can be reported through Winlink as well. Winlink Express will work on a modern computer or Windows tablet running Windows Vista or later. The WINMOR Virtual TNC requires a 700 MHz or greater processor and 512 MB RAM or more due to the Digital Signal Processing (DSP) needed. An Apple or Linux version of Winlink Express is not available but it can be run using a virtual machine or dual-boot configuration. A Linux client is available but does not support all features. This series primarily focuses on soundcard modes over HF and I will be discussing the WINMOR Virtual TNC. 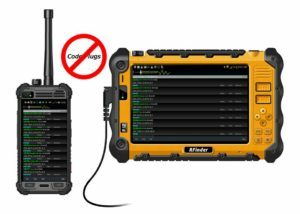 WINMOR is a low-cost interface utilizing the SignaLink USB for $120 as opposed to a PACTOR 3 dedicated hardware modem which can run $1,100 – $1,600. Low-cost hardware means tradeoffs. WINMOR is not anywhere near as fast or reliable as a PACTOR 3 modem, but it does a very good job. To get started, first go to: ftp://autoupdate.winlink.org/User%20Programs/. Download two programs from the list of files: latest itshfbc program and Winlink_Express_install. ITS HF Propagation is prediction software to provide a rough estimate of the signal path quality between your QTH and remote RMS. Install both applications, order doesn’t matter. Click “next” through both installs, accepting defaults. I recommend checking Display list of pending incoming messages prior to download. This will display incoming message details prior to download allowing the user to select or reject messages based on size or sender. Click Update. An account will be setup on the Winlink system. The Winlink email address won’t become active until a message is sent through the CMS gateway. Click Remind Me Later on any Winlink Express Registration screens. 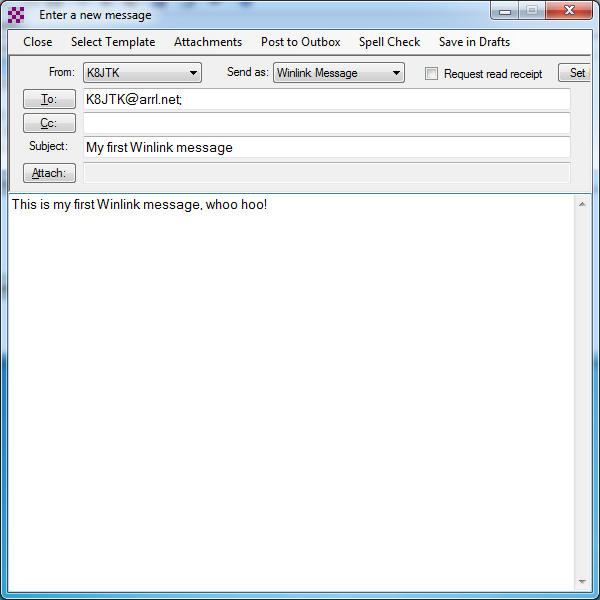 To create a message activating the Winlink email address, click the New message icon or click Message, New Message. The message is ready to send, but wait! There is no “send” option. What gives?!? 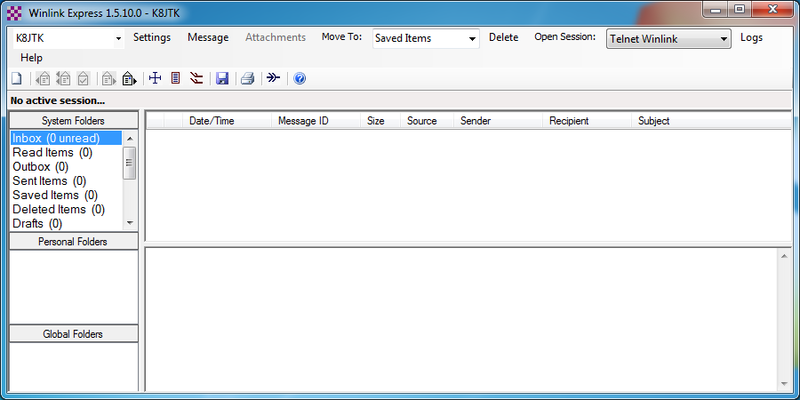 Since this system is store-and-forward, messages are Post to Outbox and appear in the “Outbox” System Folder. Messages in outbox can still be edited but will be sent when connected to a CMS. Next to “Open Session,” in the drop-down select Winmor Winlink. Click Open Session. Two more boxes will appear: “WINMOR WL2K Session” and “WINMOR Setup.” The WINMOR WL2K Session box is where an RMS gateway is selected and it displays the connection status. 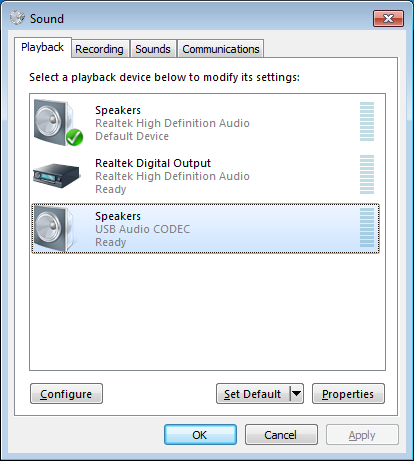 You will be prompted to select the Capture and Playback soundcard devices in the WINMOR Setup box. 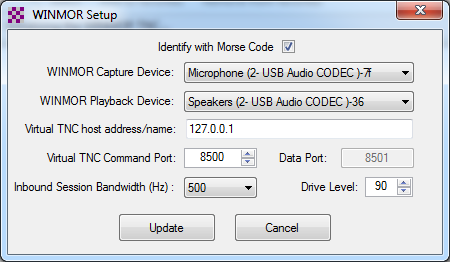 For the SignaLink, select USB Audio CODEC. Leave all other settings at their defaults. Click Update. A third “WINMOR Sound Card TNC” box will appear. 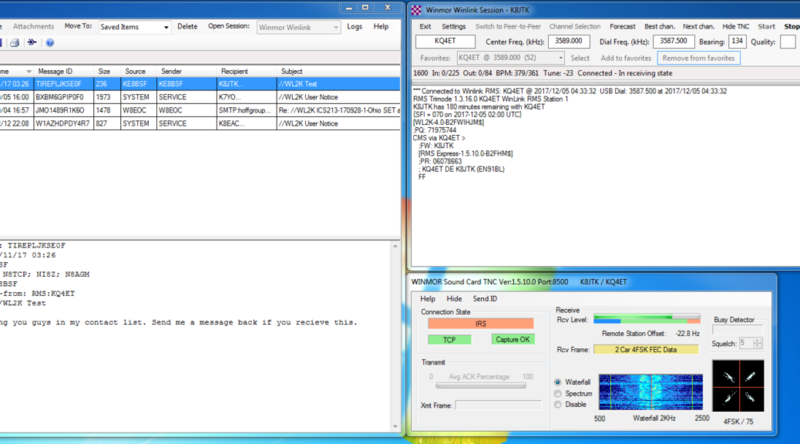 This window shows a waterfall along with transmit and receive state of the virtual TNC. Ignore this box for now. On the SignaLink, begin with the TX and RX volume knobs set to the 12 o’clock position. Set delay (DLY) to the 2nd tick-mark (8 o’clock position). 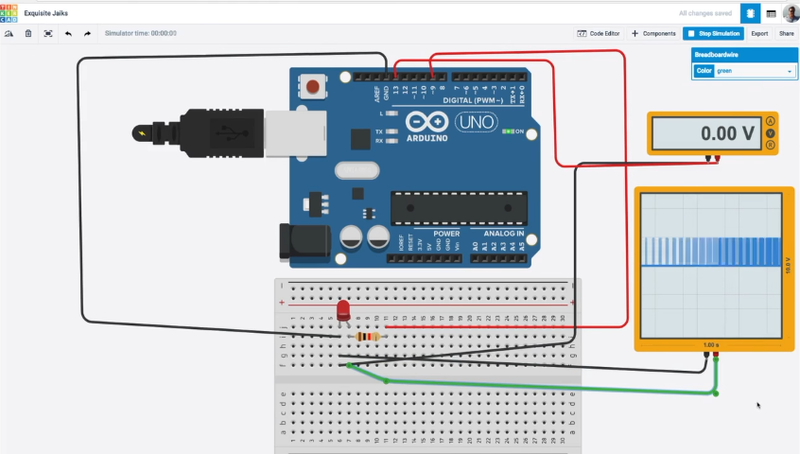 If you have a way to control your radio through CI-V commands or equivalent, click Settings, Radio Setup, and configure the settings for the radio. Radio control makes it much easier when selecting different RMS gateway stations. Selecting a different station will automatically change the radio’s frequency and mode. With a VOX device like the SignaLink, for “PTT Port” select External. Click Update. Back in the WINMOR Winlink Session box, click Channel Selection. An “HF Channel Selector” window will open. A message will ask to ‘update the channel list and recompute the propagation estimates now?’ Click Yes. If not asked, click Update Table Via Internet. This table will update with the current list of Winlink RMS gateway channels on HF. The list can be updated over radio in the future if desired. Once updated, the presence of color in the “Path Reliability Estimate” and “Path Quality Estimate” columns mean the ITS HF Propagation predictor program is installed and working. Calculations are based on your grid square and solar flux index. 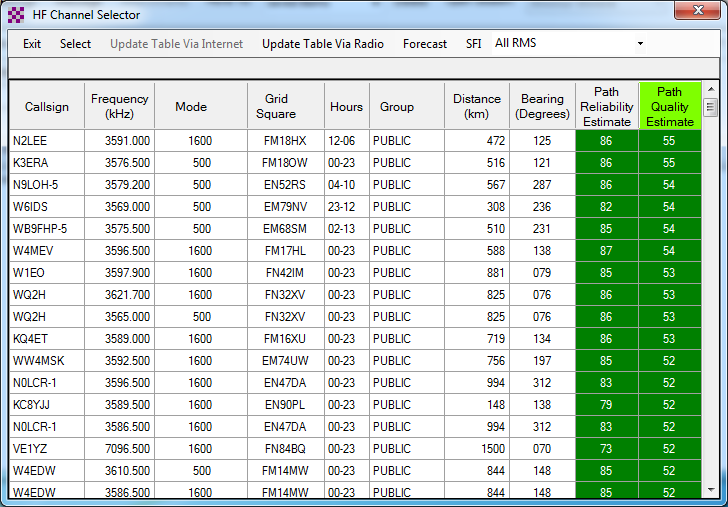 Update the current grid square in Winlink Express setup and this table often when traveling. “Mode” is the bandwidth of the RMS node. A higher number means faster transfers are possible. “Hours” means the hours each day the node is online. “00-23” is all day, “02-13” is 02:00 – 13:00. The rest is self-explanatory. To select a particular RMS gateway, double-click that row in the table. Gateways in green are good choices but ones at the top of the list may not always provide the best connection. Reliable gateways are found by trial and error and can be added to the “Favorites” list. If Rig Control is enabled, the radio should tune to the dial frequency of the RMS gateway and enter USB mode. 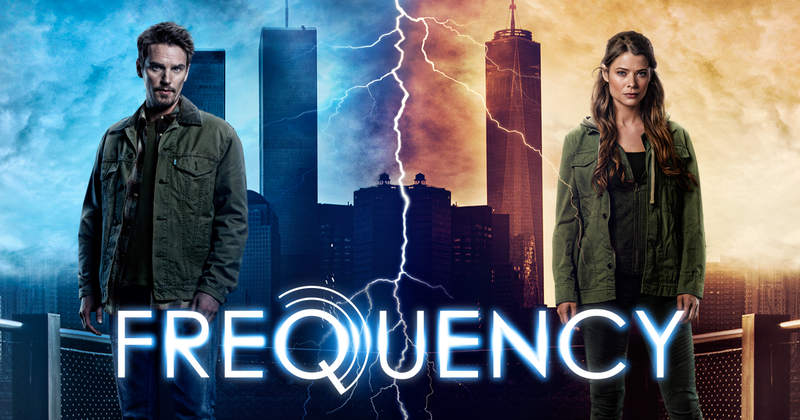 If not, tune the radio’s display frequency to the “Dial Freq” (VERY important!) shown in WINMOR. Warm up the Tuner if it needs it. Remember to use no more than 30% power. Click Start. With any luck, your client will connect and your first Winlink message will be sent! There will be A LOT of back-and-forth (TX/RX switching) between your radio and remote RMS gateway. These are handshaking and acknowledgments or sending/receiving messages. When all messages are exchanged, the client will automatically disconnect from the RMS gateway. Clicking “Stop” will gracefully disconnect and ID at any time during a session. “Abort” should only be used when something is very wrong because communication is terminated immediately (without ID). Attempts will be made by the RMS to reestablish communication with the client before eventually timing-out. Once the test message is received in your actual email, your new callsign@winlink.org email address is now active! Send a reply to the test message through your real email. To call a different RMS gateway, click Channel Selection and select a different station. Wait 5 minutes or so for the reply email to reach the Winlink CMS. Click Start in the WINMOR Winlink session box. You will see your reply downloaded to the inbox! When replying to lengthy messages, I will keep a few sentences (paragraph at most) of the original message. This keeps the transmission time down. The original sender can look at the full message in their client sent folder. Before going crazy telling people to send messages, there is one crucial piece to this system. Winlink uses a “whitelist” (approved senders list) approach for external email addresses. This keeps abuse and spam to a minimum. 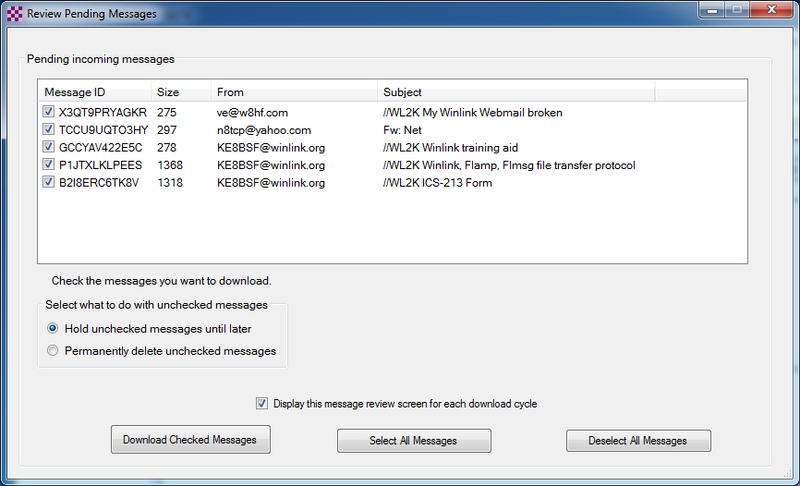 As a Winlink user, you are free to send messages using your Winlink address to other Winlink users. Other Winlink users can do the same, freely contacting you. External email addresses are handled very different. An external email is any mail system other than Winlink (Gmail, Outlook, DACOR, Buckeye Cable, BGSU, etc.). If you first send a Winlink message to someone@someprovider.com, that email address is automatically added to your Winlink whitelist. That means email from someone@someprovider.com will be delivered to your Winlink inbox. Whitelists can be managed by logging on to the Winlink My Account page and click My Whitelist. That page will provide details how to update the whitelist using client commands, if desired. Another important detail to remember, there is no expectation of privacy with the Winlink system. 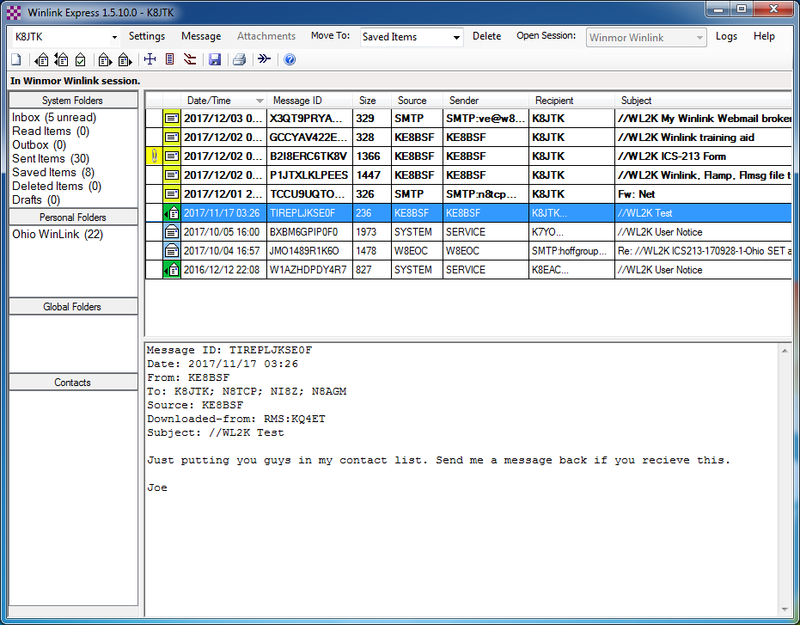 RMS gateway owners and Winlink administrators can read messages exchanged through the system. 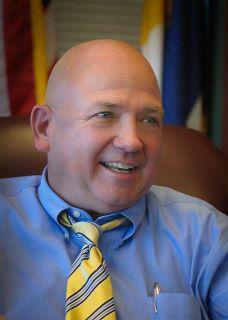 They are looking for Part 97 violations and inappropriate usage of the system. Violators will be blocked. I’m sure they would find details of your camping trip fascinating, but they really don’t care. Email messages through this system are considered 3rd party traffic under Part 97. The email message resides on the CMS until you (a ham) make a connection to another ham’s station (RMS) to retrieve your messages. This is similar in nature to passing messages over the National Traffic System (NTS). The list of services available through the Winlink system is extensive. Winlink is quite flexible allowing many different ways to access the system over RF, APRS, or Internet. Feel free to send a message to my Winlink email address, K8JTK—at—winlink.org. Replace “—at—” with the appropriate email symbol. Don’t forget to include //WL2K in the subject! 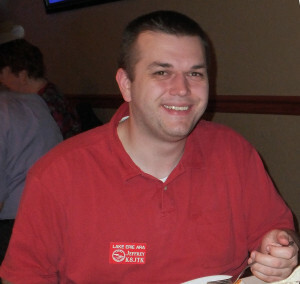 In October, I was invited by Medina County ARES to see a presentation about Winlink. I had heard of it as a way to send email messages over the HF bands. There were rumors around whether specialized hardware was needed and I really wanted to see what it was all about. Rick – K8CAV gave a great presentation on how it all works and some tips that really helped me get operating on Winlink. Winlink, in short, is a way to send email via radio circuits frequently used by RV campers, boaters, and mariners where the Internet may not be available or reliable. It is a store and forward system meaning your messages will be held and delivered when you call into a gateway, much like the dial-up or BBS days. There are a number of ways the software will operate: connect to a remote gateway station over the air, operate peer-to-peer over-the-air, connect via the Internet using Telnet (yeah, yeah ‘telnet isn’t secure’ but neither is your email going out over the air), or webmail. 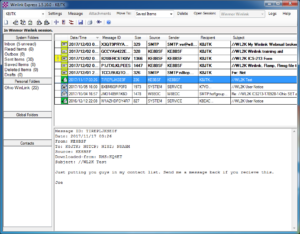 Winlink has regional Central Messaging Servers (CMS) which connect to the Radio Messaging Servers (RMS) over the Internet. The RMS is the gateway your client connects to for sending and receiving messages over-the-air. There is little privacy as other stations can read your messages but the intent is to have a worldwide emergency email messaging system. 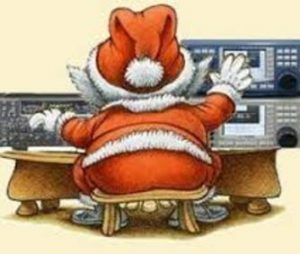 Messages can be exchanged with any email address (Gmail, your ISP) on the Internet using the assigned callsign@winlink.org email address. Stations conducting business will likely get blocked from the RMS gateways. Attachments can be included with messages but due to bandwidth, these should be kept to small files like CSV or TXT files – no multi-megapixel images or videos. I’ve also been playing around with a new device from Shark RF called the OpenSpot. It’s a small company with two guys in Estonia (South of Finland). Production is done on a batching basis so there is a waiting list. It seems like they’re shipping units close to once per month. Once I got the shipping notice, I had the device within a week. They say 3-6 business days shipping time and it arrived certainly within that range. The OpenSpot is a standalone digital radio gateway otherwise known as a hotspot. It currently supports DMR (Brandmeister, DMR+), D-STAR (DPlus/REF, DCS, XRF/DExtra, XLX), and System Fusion (FCS, YSFReflector). 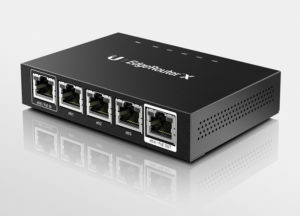 If the mode or network isn’t supported, they do take requests and will make additions available via firmware upgrades. 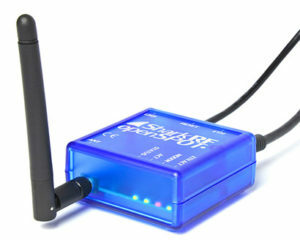 Since it is a hotspot device a transceiver capable of operating that mode is required. 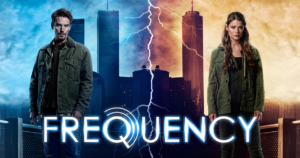 They are doing something cool since DMR and Fusion use the AMBE2 codec. A DMR radio can be used to access the Fusion network and vice-versa (DMR Talk Groups with a Fusion radio). The OpenSpot has a lot of flexibility, very well designed, and is superior to the DV4Mini. It doesn’t need different Raspberry Pi images for different modes like the DVMega. The device comes with everything: the OpenSpot hotspot, Ethernet cable, USB cable, USB power adapter, and antenna. It runs an internal webserver for device configuration. I even like how they do the firmware update process. The OpenSpot shows up as a drive to the computer and using the copy command – copy the firmware to it and voilà – done. For DMR, it will operate like a DV4Mini with the radio configured in TG 9 (talk-group) or it will operate like a repeater (my preference) where the Talk Groups are push-to-talk. All the TAC groups are available (310, 311, 312, etc) and call routing works. I could not get these to go on the DV4Mini. D-STAR works great too. You can link and unlink to reflectors using radio commands. It does not have a drop down for linking directly to a D-STAR repeater on the network. The only systems listed are reflectors. Forum posts describe how to link to a D-STAR repeater (like a DVAP or DNGL would do) using the “Advanced Mode” screens. Don’t forget, National Parks on the Air will be wrapping up at the end of the year. According to Tom Gallagher – NY2RF, NPOTA is getting closer to #1MillionQSOs: https://twitter.com/hashtag/1millionqsos. Look out for those NPOTA stations to get your score up for your wallpaper (that is certificate if you don’t operate special events and contests).